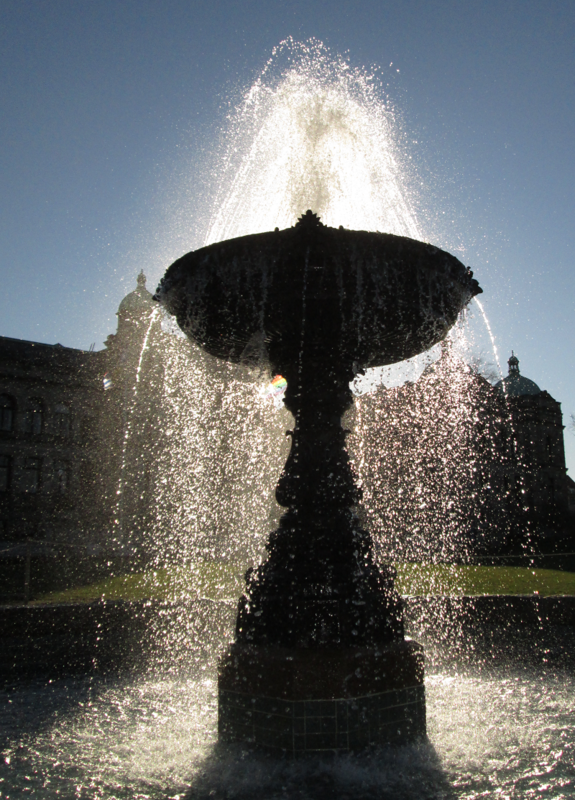 This is the old (1905) fountain that stands in front of the British Columbia legislature, Victoria, BC. Today it consists of only the single, rather elegant basin, but originally it had four basins (!) and stood over 18 feet tall. I've been unable to find a photo of the original Edwardian creation; it must have been quite the sight. What a beautiful pic! I can just barely imagine how impressive the original ensemble must have looked, this is already quite impressive! I can never get enough of sparkling water. Me too! I could watch fountains forever. Oh, that's nice. I love the light through the water. And the fact that the water drops are visible - it must have been a very quick exposure.